We already knew that 2019 was going to be the year that the first 5G phones became available for purchase, but even before the calendar turns, the ball is already starting to roll. Samsung and Verizon announced Monday that they will be partnering to deliver a 5G phone in the first half of 2019, bringing Wi-Fi speeds to mobile networks. In October, Verizon launched the world’s first 5G service with a slew of caveats: It’s limited to certain areas in just four markets (Indianapolis, Houston, Los Angeles, and Sacramento, California), it only works inside your home, and it doesn’t use the newest 5G NR specification. And of course, your phone can’t actually connect to it. 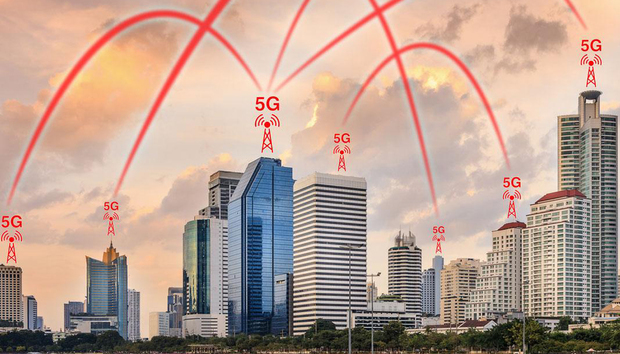 While Verizon and others have crowed about proof of concept 5G networking for smartphones, the service hasn’t rolled out at all yet, so the first 5G phone will still be using LTE. Verizon and AT&T promise that they will both be launching mobile 5G networks next year, but the service will be extremely limited. So those first 5G phones probably won’t work in your neighborhood until at least 2020, if not longer. Whenever a new chip or technology is released, the biggest question we have is: How will it affect battery life? And the answer with 5G is, we just don’t know. Way back when the first LTE phones arrived, they were battery killers, and it took a couple of revisions until we were able to keep the LTE switch on all the time and still have a phone that lasted most of the day. There’s a good chance the first 5G modems will have the same detrimental effects on battery life, as the technology matures, and chip and phone makers work together to optimize the new speeds. We’re finally at a place where most phones can last the whole day without needing a charge, and the first 5G phones could be a major step backward in that department. While the press release didn’t actually use the word “exclusive,” the fact that Samsung and Verizon announced the partnership together means that there will be some level of exclusivity with their first phone, even if it’s just for a short while. We’ve been around long enough to know that exclusive carrier phones are never a good thing, with poor pricing, terrible updates, and lackluster support. Honestly, AT&T, Sprint, and T-Mobile customers will probably be the lucky ones here. New technology costs money, and the first 5G phones will certainly command a premium over LTE ones. And not only do we have no idea how much Samsung’s first 5G phone will cost, we also don’t know how much Verizon will be charging for service, which will surely be priced higher than standard LTE. We already know that Verizon is charging $50 a month for its 5G Home wireless internet service on top of your existing wireless service, so things could get pricey. The biggest reason to be skeptical of the first 5G phone from Samsung is Apple. Following up on recent rumors, Bloomberg reported this week that the iPhone won’t be getting a 5G model until at least 2020, meaning the tech won’t get proper mainstream support until then. Because as we all know, it’s not a thing until Apple does it.